Sofi Berryessa is located on the edge of San Jose, California’s Creekland and Pine Hollow neighborhoods. Cradled by the Diablo Mountains on the east and redwood-lined Pacific 40 miles to the west, we invite you to come home to a family-friendly community that combines city amenities with outdoor opportunities. Several regional parks are within five miles of the apartment homes, including the 163-acre, dog-friendly Penitencia Creek County Park. Enjoy a local’s favorite meal at King Egg Rolls or wander to the nearby Berryessa Plaza Shopping Center where you can satisfy a hankering for Cajun food at the Claw Shack or eat your fill of tacos at El Buen Gusto. These, and many myriad eateries, are tucked in and around the neighborhood. 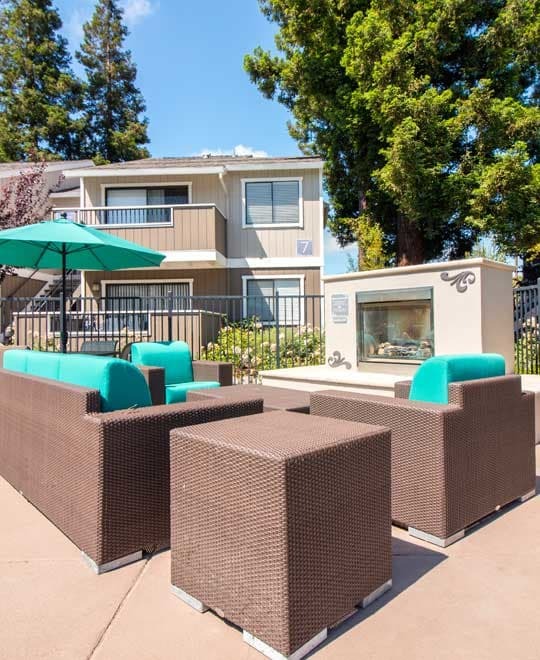 When it is time to head out of the area, whether for work or play, access to the rest of the South Bay is made convenient by the nearby 101 and 680 freeways. As an added perk, Sofi Berryessa is located very close to the location of the future Berryessa Bart Station. Come check out Sofi Berryessa and its great northeast San Jose, CA, location. Contact us or stop by to tour the one and two bedroom homes for rent in our Creekland apartments.